I just love Toon Thursday and always look forward to them, and they are always so spot on. Thanks for making me laugh. Absolutely terrific to 'see'! I just found your blog & will now look forward to Toon Thursday! 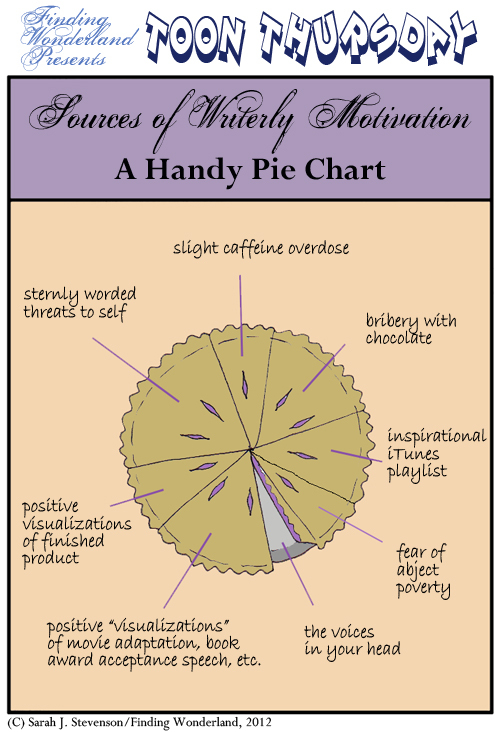 I love that your slices seem realistic, like the small, small piece of 'fear of abject poverty'. Thanks for the laugh. 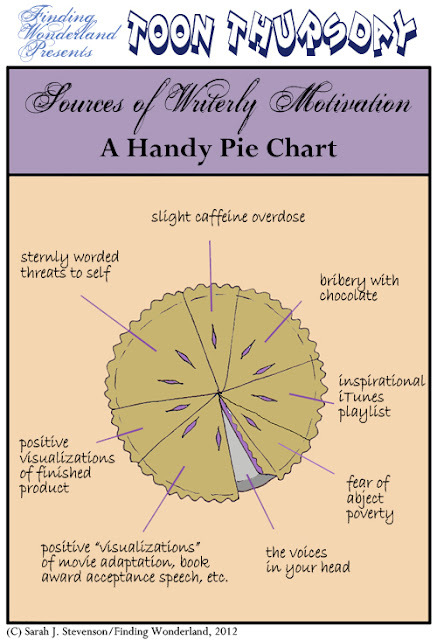 I like how caffeine, chocolate and iTunes comprise fully 1/3 of the pie! PERFECT! Linda: Thanks for coming by, and glad you enjoyed the toon! Tanita: Yeah, happens to me every time I make a pie chart. Hmmm. Just who ate "the voices in your head" slice? Um, that'd be me, Yellow Brick Reads. The voices... well, I stopped fighting them. We all started agreeing, and we needed PIE.